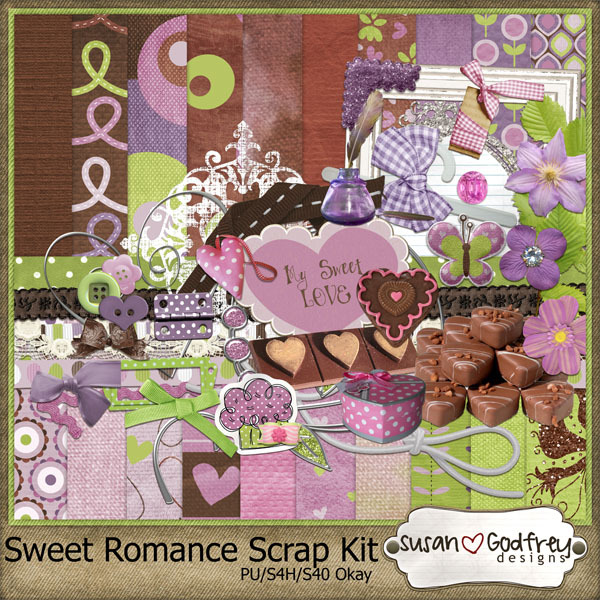 Are you looking for a gorgeous kit?? I'm in love with this kit and the LOs I have make with them. Beyond Blessed is a gorgeous collab kit by Ruby Lane and River~Rose you can find at Funky Playground. 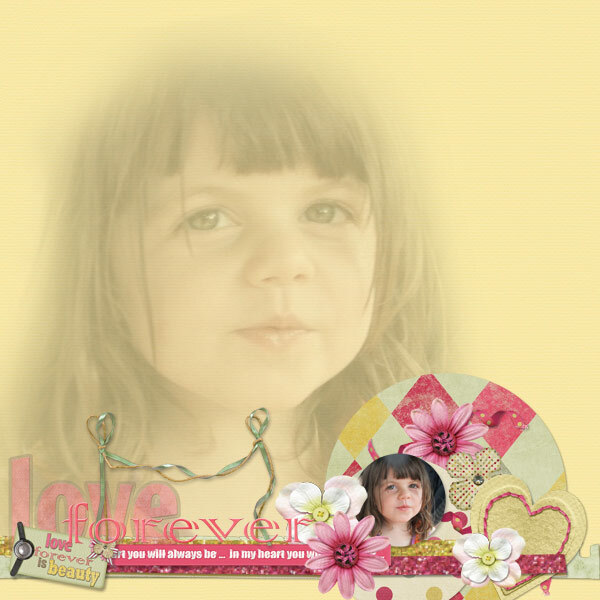 I have had a few people ask me how to do blended photos in the background of a layout so I decided to to a TUT about it. Bare with though its my first one. 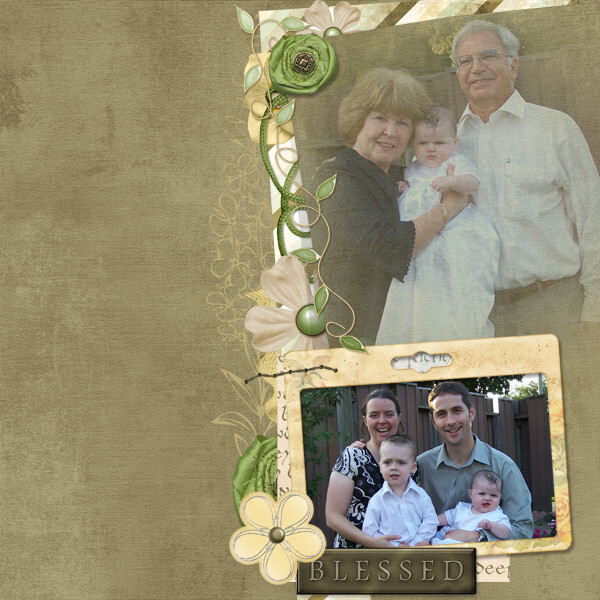 First I pick a background paper that has a good texture to it but not one with too much pattern. Usually the plainer the better. 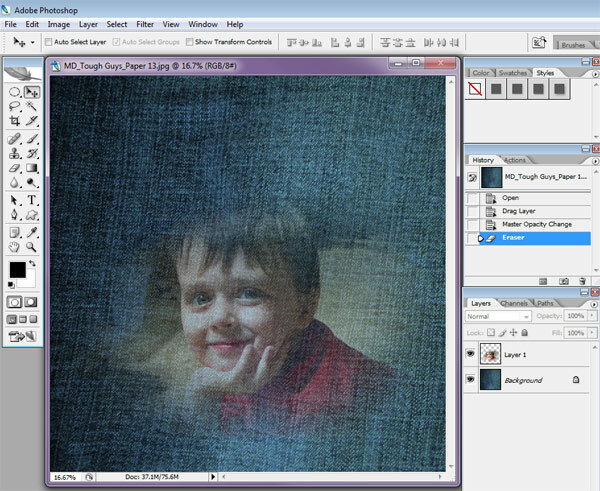 Drag your picture onto your canvas. 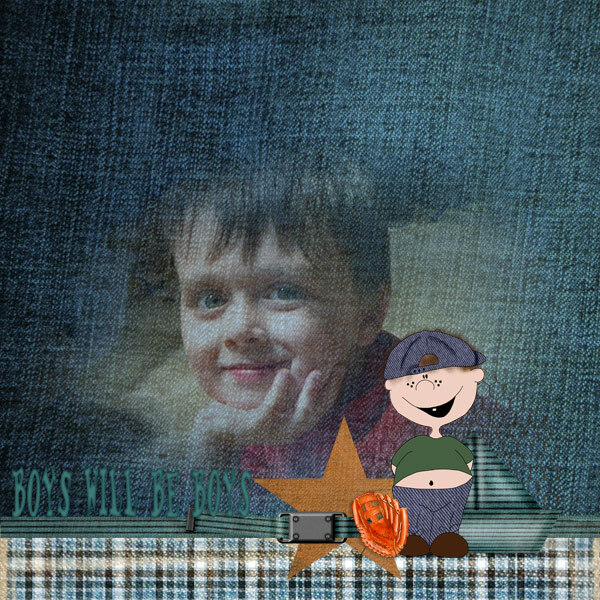 Over on your layers box change the Opacity level (see the red arrow above) down to where ever you think looks right, based on your paper and the look your going for. 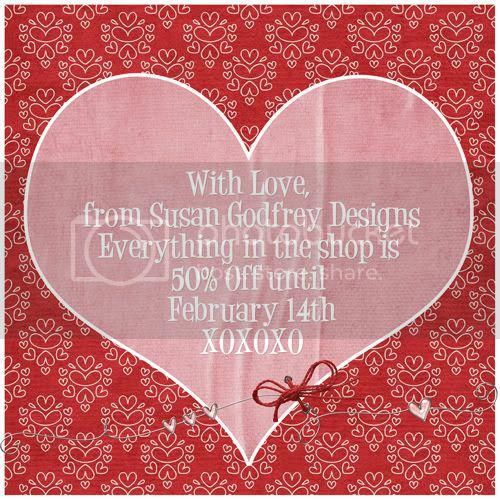 In this LO I put it at 50%. 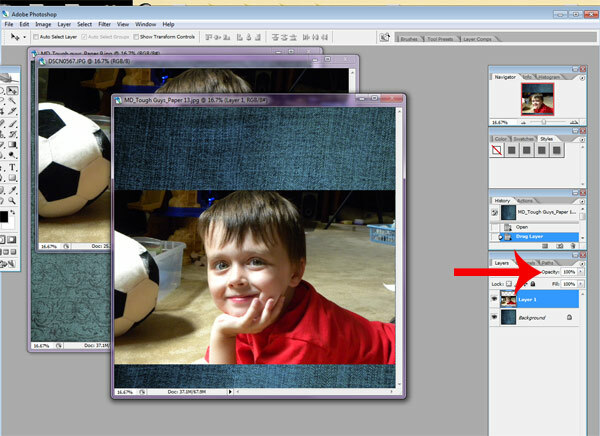 Now click on your easer tool. Up at the top bar click on the brush options and change your brush to a big size and the move the hardness all the way down. 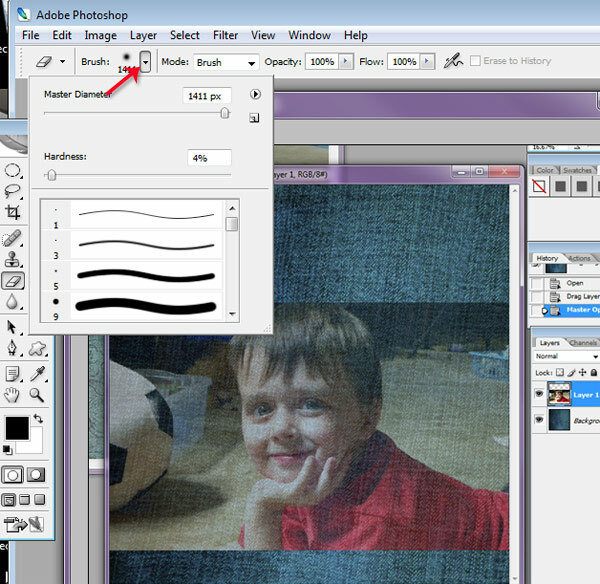 Now you have a big soft brush to erase around all the hard edges. 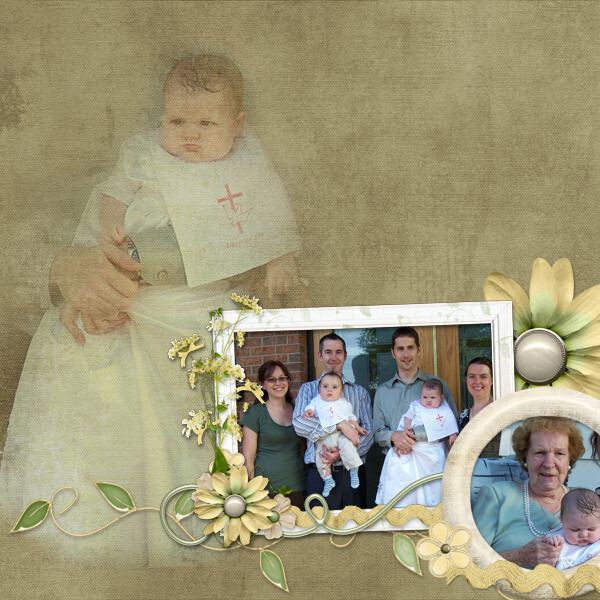 Now you have your photo blended into the background. Place whatever elements you want, or other photos. 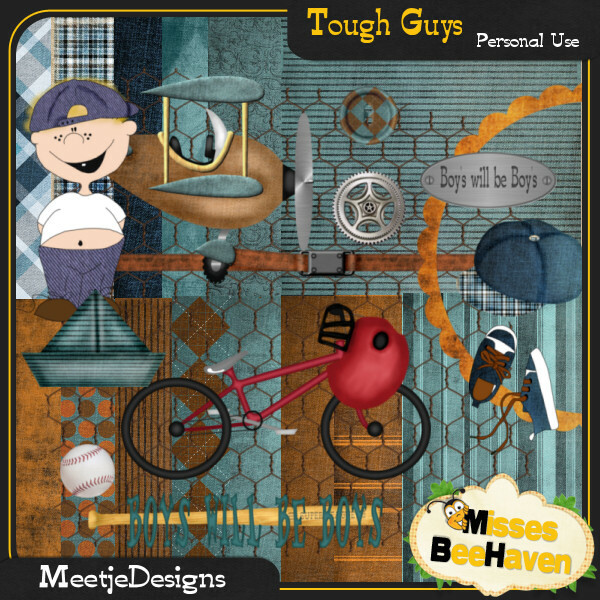 To make this Layout I used Meetje Desgins kit Tough Guy Found here at Misses BeeHaven. Ok I'm off to a good start getting more Riley pages done before her birthday. 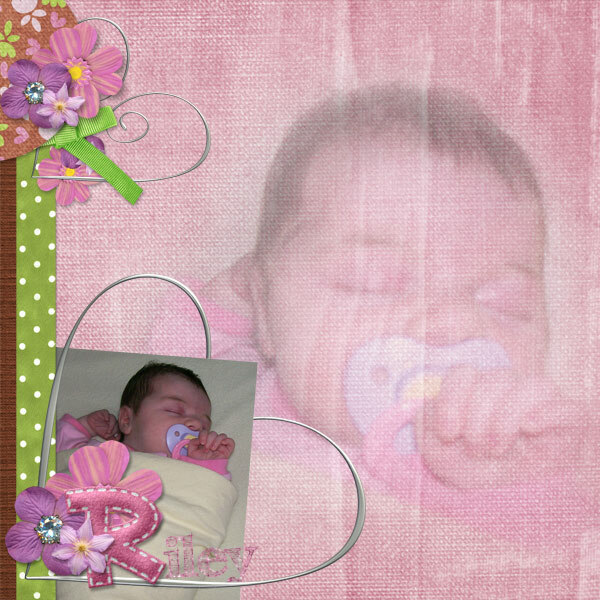 For these two pages I used Ruby Lane's new kit In my Heart, you can find it here at Funky Playground Designs! You can find her kits here. 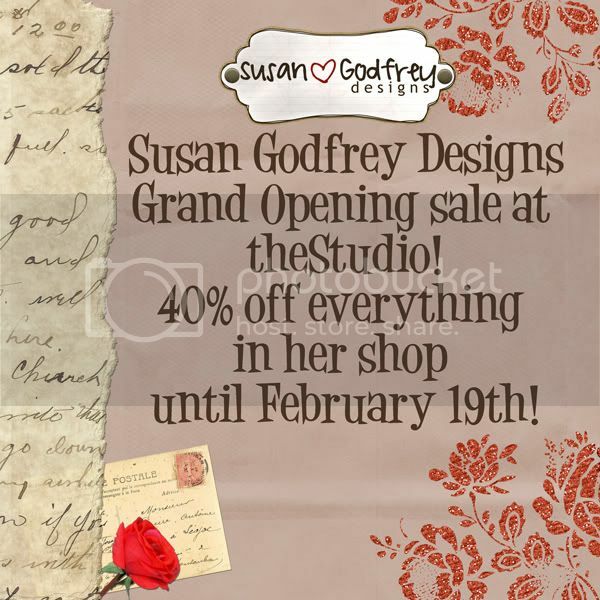 You can find her blog here. 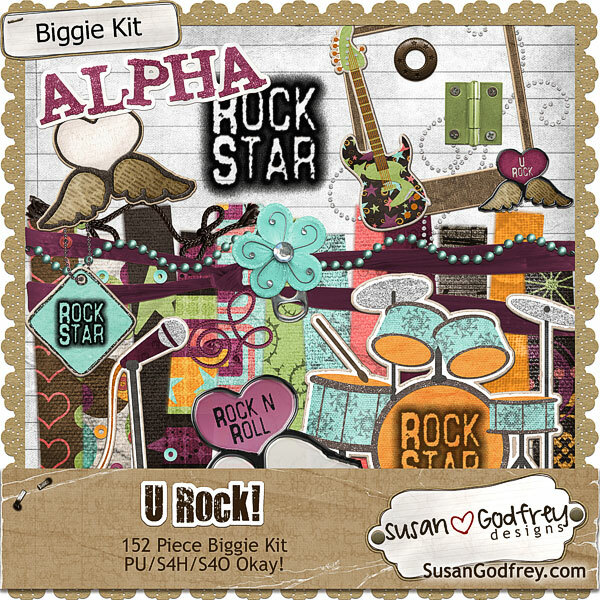 Susan Godfrey's kit U Rock! 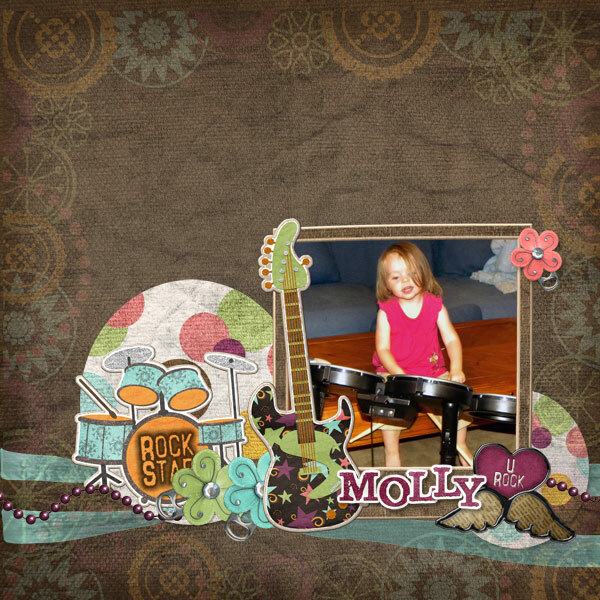 was just perfect for these photos of Molly playing Rock Band! 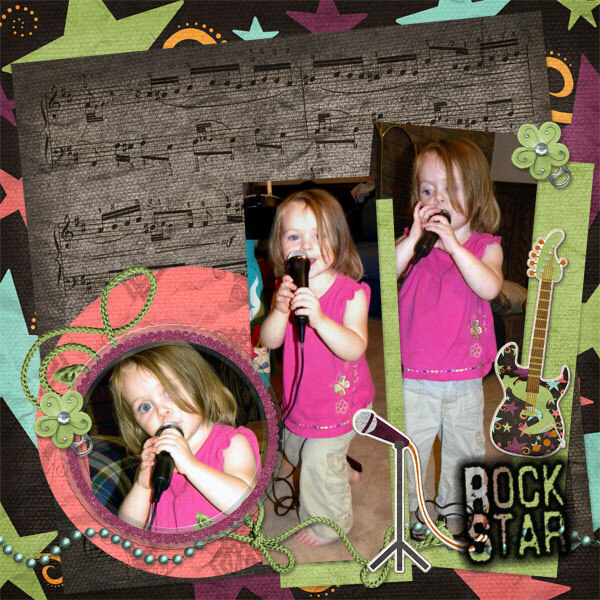 She really loves sing along with the game and playing the drums! CLICK HERE to see a video of her singing is so cute! !